In many parts of the world, it is camping season! Whether you’re hiking to your destination, staying in a tent, or glamping, you’ll need sustenance! If you adhere to a strict vegan diet or you’re trying to simply eat healthier, vegan camping food is a great option. Plus, carrying dehydrated foods is an easy task as they don’t require refrigeration and have no water weight. 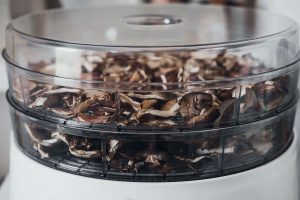 We’re going to take a look at some of the best dehydrated food to take with you on your next camping trip. Keep reading for more information! You probably know the rest of the jingle, but in all seriousness, any type of vegan bean dish is great! Beans are high in protein and fiber, making them quite nutritious. Unfortunately, beans alone don’t make for a very interesting meal. Consider adding them to a vegan chili. 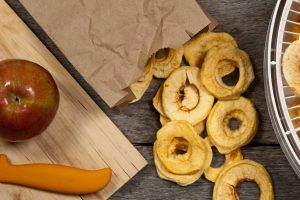 Chili recipes are particularly great because most of the prep work can be done beforehand, and any other dehydrated vegetable can be brought with you. 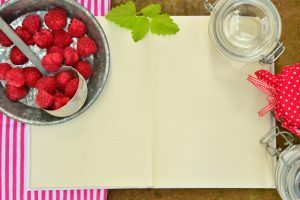 There is something about snacking on dehydrated strawberries and bananas when they’ve been mixed with healthy nuts and some dark chocolate! 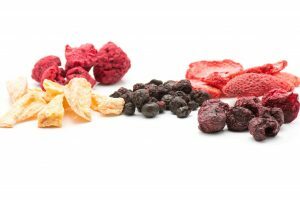 Some vegan trail mixes can get quite expensive, and they never seem to have the right ratio of what you want. 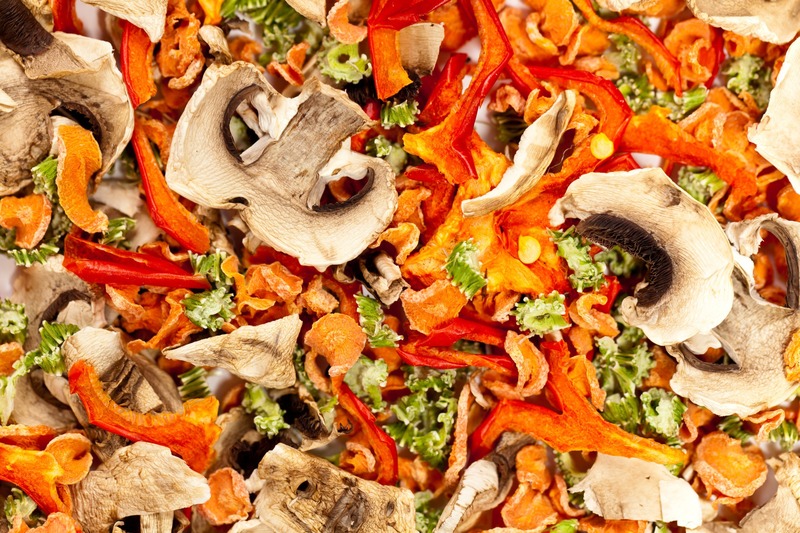 Instead of buying it, try making the trail mix yourself. 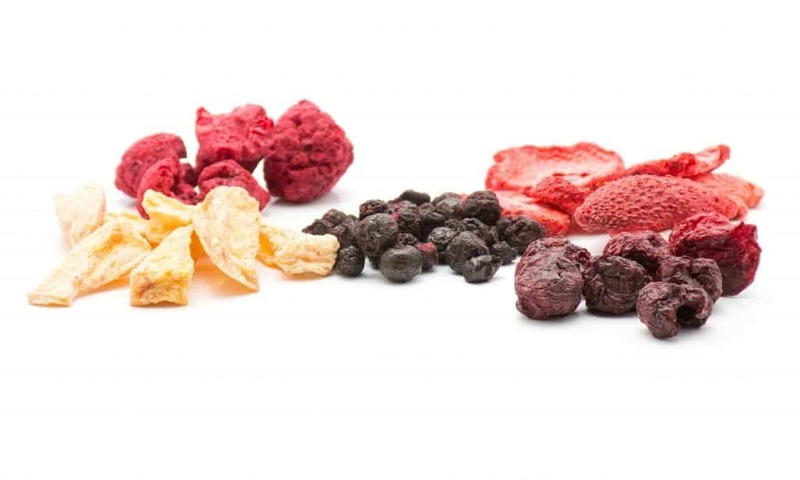 We love making a dehydrated fruit mix of pineapple, strawberries, and bananas to throw into the mix. Tired of peanuts? 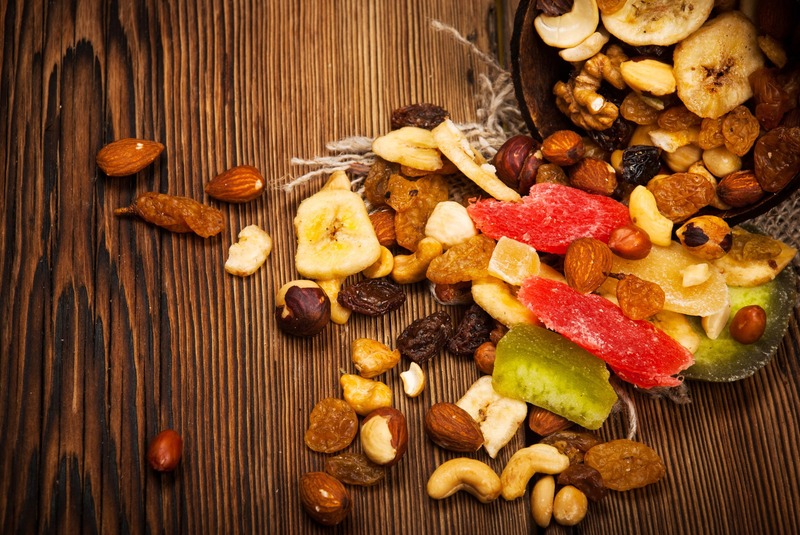 Skip them, and try adding some pistachios, almonds, and walnuts for a healthy mix of nuts! Finally, don’t forget to add a healthy dose of dark chocolate for your sweet tooth. There are numerous bagged meal companies that cater to vegans. It’s all about finding the brands you enjoy and trust. The benefit of simply taking a bagged meal is that you’ll only need to add hot water. Unfortunately, continually purchasing these products can add up, especially if you camp often. It should be illegal to go camping without eating at least one hearty breakfast. However, hearty doesn’t have to mean traditional bacon and eggs! 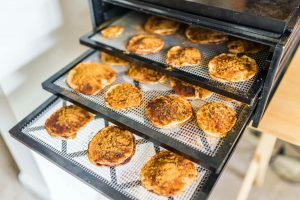 There are numerous brands of vegan powdered eggs on the market, and you can create vegan bacon using a dehydrator, eggplant, and a few other ingredients! These can be easily packed to take with you and used when ready. 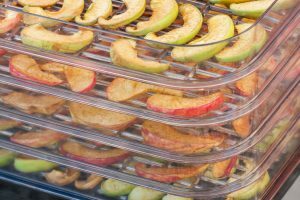 Many camping recipes call for dehydrated food. And they taste delicious! Your non-vegan friends might not even know the difference until they ask about your recipe. 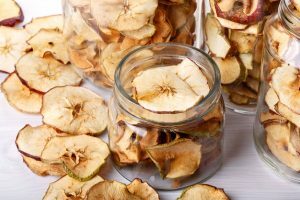 Purchasing dehydrated groceries can get expensive over time. 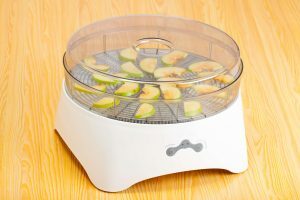 Whether you enjoy camping, you’re a vegan, or you’re a vegan who enjoys camping, it might be wise to invest in a food dehydrator. 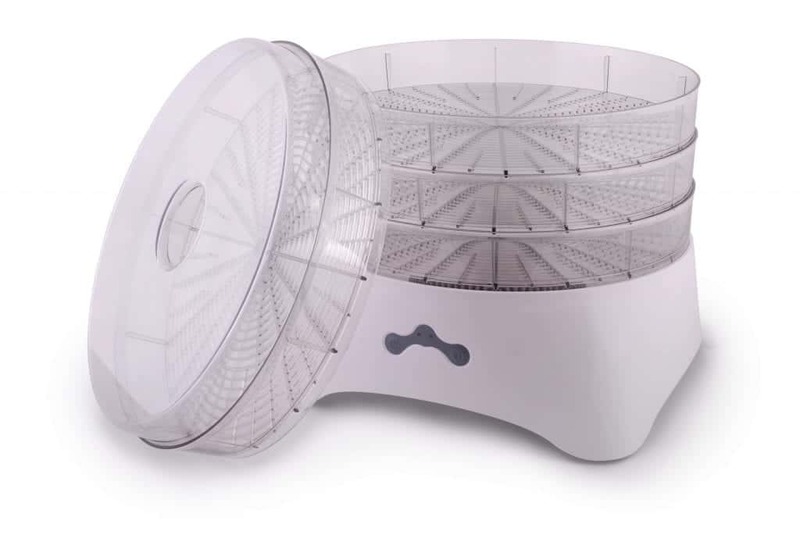 Plus, you’ll be able to try crazy new recipes that you’ll probably never find in stores! 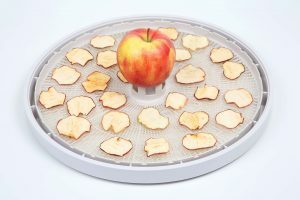 Take a look at our guide to choosing the best dehydrator!